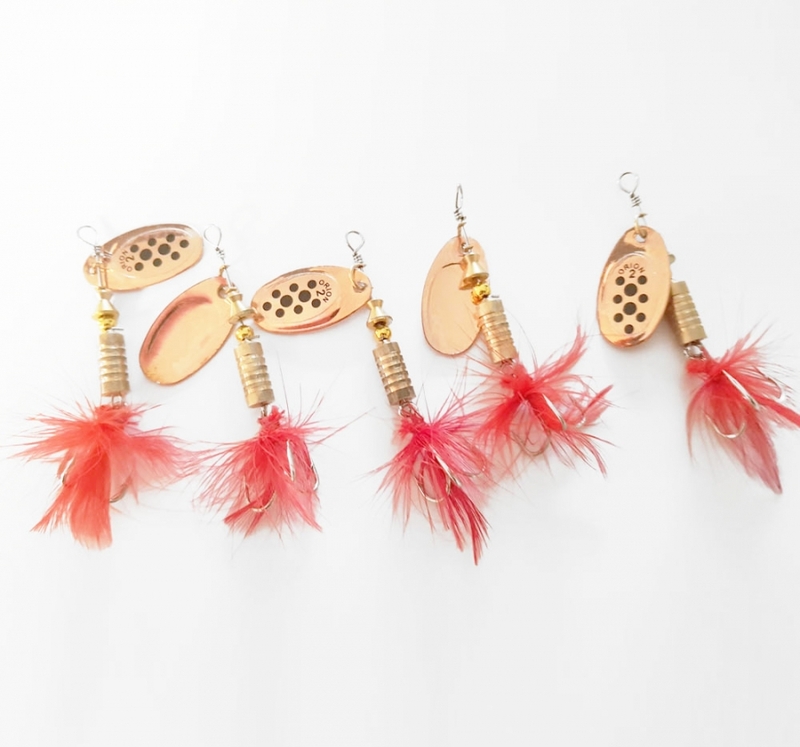 5 pack of 5.8 gram spin lure with red feather. 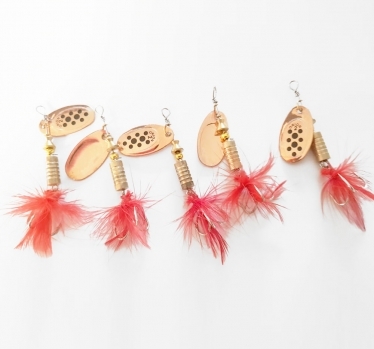 Copper coloured metal with black spots on spin lure blade. 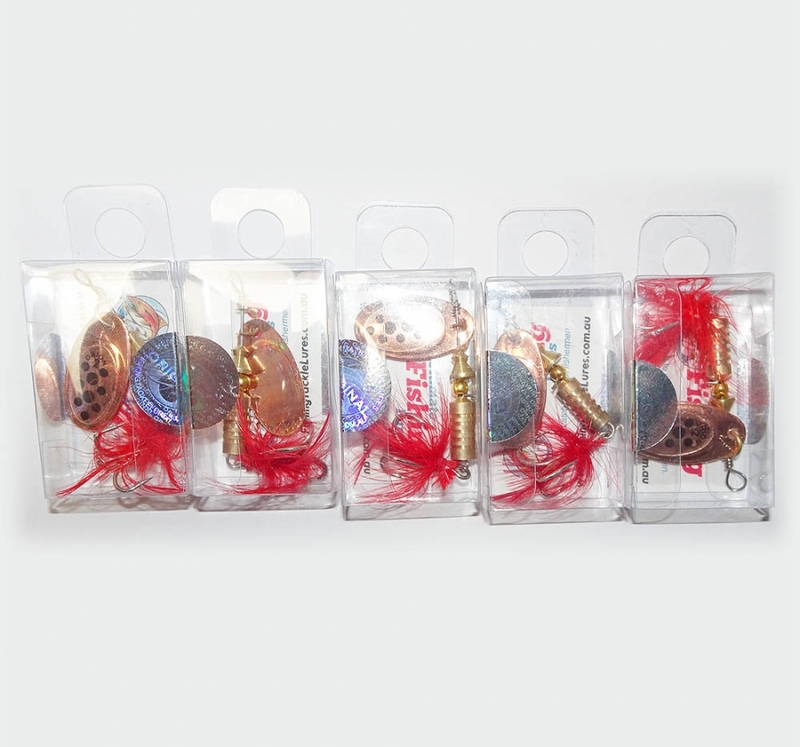 Perfect low cost high quality fishing lure for trout and redfin fishing.